NEW Guerlain Eau de Fleurs Cedrat EDT Spray 100ml / 3.3 fl.oz. A citrus aromatic fragrance originally launched in 1920, it's composition features notes of cedar, bergamot, and lemon. TOP QUALITY & LONG LASTING! With an attractive bottle as a deserving match for the grand fragrance within, Tanasuk is an attar that's fit for every occasion. Size: 12ml. Top notes: Rose, Grenadine, Saffron. Base Notes: Vanilla, Musk, Brown Sugar. White Musk - Thick oil. Musk Al-Tahara. Around 6 ml. عبر البحث عن رقم السلعة التالي: 302953119613. يمكنك شراء العلبة الكبيرة. العلبة الأصلية الكبيرة في الصورة. 200ML EAU DE TOILETTE SPRAY. CALVIN KLEIN. It is therefore the strongest fragrance available and being the strongest, lasts the longest, and one obviously has to use less of the product. Depending on skin type one could expect the fragrance to last up to 6 hours. Made from thick 320 GSM high quality fragrance absorbing paper. 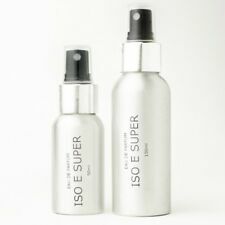 Product Type: Eau De Toilette Spray. Calvin Klein CK One Eau de Toilette 200ml Spray. The differences are the amount or the concentration of oils that are in the scents. The higher the concentration of oils, the longer your scent will last, and the less you should need to apply. Size: 12 x 6ml. The fragrance features white musk, milk chocolate, vanilla, cinnamon, rose, sandalwood, myrrh, amber and spicy notes. Fragrance Family: Oriental. Quantities available. Oud 24 hours is a fresh, unique agarwood/oud fragrance. If you like Tom Ford's Black Orchid then you should like Oud 24Hours (similar fragrance notes). Oud 24 hours by Ard Al Zafraan Is a perfect blend of the finest oud which gives beautiful Fragrance of agarwood patouchilli and vanilla. Oud Afgano EDP 100ml by Khalis. Oud 24 Hours 100ml, with deodorant Inside. A beautiful elegant bottle and a beautiful outer box. Oud 24 is filled in an exclusive, depicting strength of this lingering scent. Scent: very strong Oud wood fragrance. Top notes: lemon, rhubarb, saffron, black tea, musk. -Woody aromatic fragrance unisex. Quantità 100 ml. NEW Trussardi Scent Of Gold EDP Spray 100ml A charming oriental fragrance carrying charming sweet notes and a hearty tobacco flavour. The heart provides a tobacco layered within violets and jasmine. Heart Notes: Oriental Delice. Museum Collection is a selection of monothematic Eau de Toilette that cover all tastes and preferences bottled in an alluring red flacon embellished with a golden spray head and a red label. K by Kilian. Criminal of Love. 75 ml / 2.5 Fl.Oz. Eau de Parfum Unisex. Also you can check my other products. 120 ml / 4 Fl.Oz. Eau de Parfum Unisex. NEW IN BOX. Also you can check my other products. Please note! 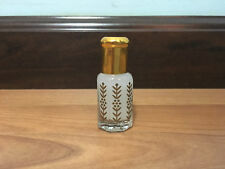 I am selling 5 ml decant only. Original bottle is not included. Can do 10 ml £47. Just message me. Decants can vary. I am using glass atomizers. If you prefer plastic or metal inbox me. For not UK buyers postage from Lithuania. Eau De Toilette (EDT): It is lighter than EDP, with a 4-8% concentration of the essence. It usually lasts for 2 to 4 hours. It usually lasts for 2 hours. You are buying a sample of the bottle pictured-not the full bottle. (Type: Eau de Toilette. Gender: Unisex. due to the fact that it is not uncommon for the manufacturer to change. 3) note that product images and even scents may slightly differ than the actual product received. Oud 24 hours by Ard Al Zafraan Is a perfect blend of the finest oud which gives beautiful Fragrance of agarwood patouchilli and vanilla. Oud 24 hours is a fresh, unique agarwood/oud fragrance. Base notes: Amber, Vanilla bean, Musk, Oud.